Hello Dealsnloot Readers,New free recharge trick from Gludo app. Gludo app is giving Rs 10 Paytm cash on joining through referral link. Gludo app has also started a referral program in which they are giving rs 10 per friend referral. Nowadays many apps are offering paytm cash for signup and referring friends. Today Gludo app is offering Rs 10 paytm cash for signup and Rs 10 paytm cash per refer. Gludo paytm offer is for its promotion. You can earn unlimited paytm cash from gludo app. Note:- Money get to your Paytm wallet after 3 days of Successful referral. 4) Enter your mobile number and name. 6) That’s it. Your account will be credit with Rs 10. 9) Share it with your friends and you will get Rs 10 paytm cash for referring each friend. You will get paytm cash in your paytm account within 3 days automatically. According To App, They will automatically Credit the amount to your paytm wallet Once It reaches to 50 Rupees.Maximum Earn Rs. 50 Per Account. For this trick You need Rooted Mobile. If your mobile is rooted then start the trick and earn Unlimited Paytm cash. Download Device Id changer or IMEI number changer. Also Download Xposed For android. Now Active IMEi changer in Xposed and Reboot your mobile. Now Change Device Id or IMEI number. Now download Gludo app by your refer link. You will Get 20rs instant in your main Gludo account. 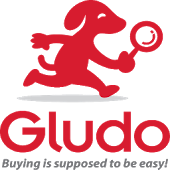 1) First of all Download Gludo App – HERE and follow above mentioned steps. 2) Now Copy your Referral link and paste the link in browser in Bluestack. 3) Now Install Gludo App through Your Referral link. 4) Now Open it and Register with alternate mobile number. 5) Once you get verified your number on Gludo App. 6) Rs.20 will be credited into your Both Gludo Account. 7) Now Uninstall the app and make some changes as below mark. 8) Change GUID, Android Id, Google Adv. Id and Change Model. 9) Done!! Repeat step 3 – 7 to get unlimited PayTm cash. So friends loot this offer and earn free paytm cash.